From the official Warner Bros. press release: “Over the years, there have been many artists who have put their own unique touch on Tom and Jerry cartoons. 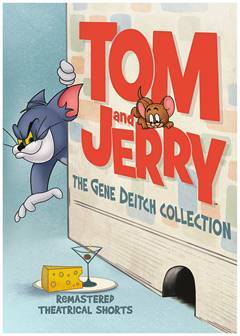 This collection recognizes the work of long-time animator Gene Deitch,” said Mary Ellen Thomas, Vice President of Family and Animation Marketing. Stay tuned for more about this collection as the June 2 release date nears.